Prefer to learn how to light portraits by reading e-books? 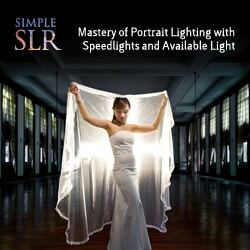 My SimpleSLR Photography Guides are a series of e-books that will gear you up for better lit portraits, with 24 different lighting scenarios explained through detailed lighting diagrams and technical background information. This is a course for more experienced photographers who want to know how to use speedlights, light modifiers and color gels for dramatic results. Illustrated with actual portraits by professional photographer Andy Lim. Hear what satisfied customers have to say about SimpleSLR e-books. Andy Lim got started in photography after leaving design college in 1992, and has given several public talks on the subject of photography. He has a gallery of travel and landscape photography, which showcases his work, some of which have been published worldwide. Andy conducts PhotoGuru hands-on digital photography workshops, from beginners to advanced levels. He is also the author of the best-selling SimpleSLR Photography Guide e-book series which cover Portrait Lighting Techniques and Wedding Photography Lighting. Andy Lim is an accomplished professional wedding photographer. His brand, Emotion in Pictures, attracts clients worldwide with his unique flavor of wedding and portrait photography. Follow Andy Lim on Facebook, Twitter and Instagram.